"This is a book I recommend without hesitation.... If my budget would allow the purchase of just one book on the subject, this would be my choice." 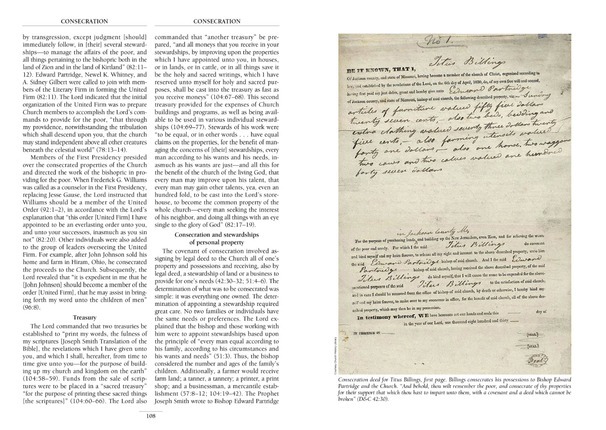 Latter-day Saints have often wished for an encyclopedic dictionary devoted to latter-day scripture, the Doctrine and Covenants in particular. This volume is exactly that. More than seven years in the making, it addresses some 850 topics—people, places, words, phrases, doctrines, historical context and overviews of each section, and much more—as it provides expansive research in easy-to-read language and format. 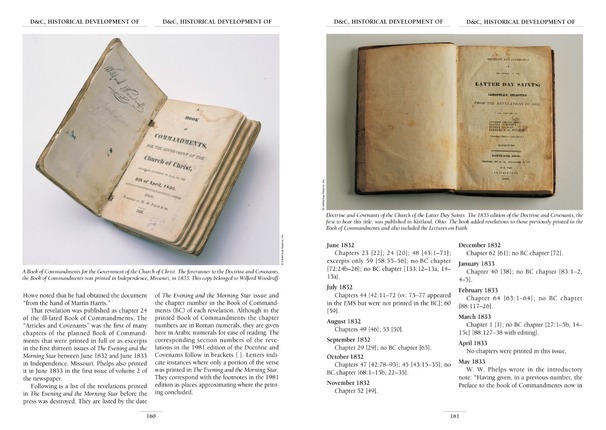 Numerous photographs of historical documents, places, and persons, as well as maps, charts, and tables, enhance the study of the revelations given to Joseph Smith as the Lord restored his Church in the latter days. 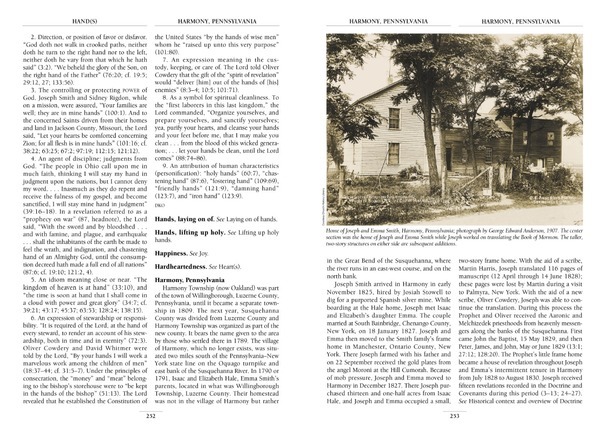 The entries in this reference companion have been prepared by some of the finest scholars in The Church of Jesus Christ of Latter-day Saints: faculty members from Brigham Young University, BYU-Idaho, and BYU-Hawaii, teachers in the Church Educational System, research personnel from the Church Historical Department, and others. Contributors include James B. Allen, Alexander L. Baugh, Susan Easton Black, Larry E. Dahl, Steven C. Harper, William G. Hartley, Andrew H. Hedges, Glen M. Leonard, Truman G. Madsen, Robert J. Matthews, Robert L. Millet, Camille Fronk Olson, Larry C. Porter, Andrew C. Skinner, Brent L. Top, and Robert J. Woodford—more than 125 in all. 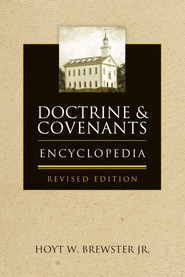 Entries on the Doctrine and Covenants from A to Z. Concise explanations of topics followed by a more in-depth treatment. An internal reference system to guide the reader to related articles. Historical accounts of important figures in the restoration of the Church. A treatise on each individual section of the Doctrine and Covenants and principal doctrines of the gospel, including sacred ordinances, the priesthood and its keys, eternal marriage, salvation for the dead, and the atonement of Jesus Christ. 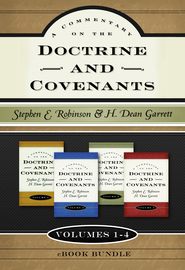 The Doctrine and Covenants Reference Companion is the first work of its scope ever published on the Doctrine and Covenants. It is truly comprehensive and authoritative. Those who desire to improve their understanding of the history and restoration of the Church will find this volume to be an indispensable part of their gospel library. 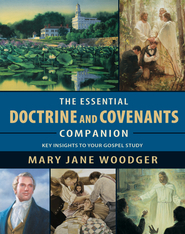 The Doctrine and Covenants Reference Companion is an informative and exhaustive resource that is the result of the work of about 170 people, including 127 authors. The first and largest section (just more than 700 pages) of the Reference Companion" is an encyclopedic-style listing of doctrinal topics, and every person and place mentioned in the revelations and doctrinal topics from Aaron to Zoramites." Bookshelf eBook users: Because of the large amount of content in this eBook, we recommend viewing in scroll mode for optimal results. Dennis L. Largey, also general editor of the Book of Mormon Reference Companion and the Doctrine and Covenants Reference Companion, is a professor of ancient scripture at Brigham Young University and former chair of the department of Ancient Scripture. He has served in the educational system of The Church of Jesus Christ of Latter-day saints for more than thirty-five years. Brother Largey joined the Religious Education faculty at BYU in 1985. His Church service includes counselor in two stake presidencies, bishop, branch president at the Missionary Training Center in Provo, Utah, and member of the Church’s Materials Evaluation Committee. He and his wife, Kristene Belnap Largey, are the parents of four children. If you have ever desired a comprehensive encyclopedia of Church History then THIS is the companion guide for you. 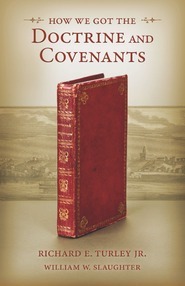 Compiled by Dennis L. Largey and Lerry E. Dahl, a total of 127 authors have collaborated to prepare 850 topics that provide the reader with a simple & unique approach to better understanding the revelations found in the Doctrine & Covenants. Each entry combines scripture with cross-references and the teachings of Latter-day prophets. 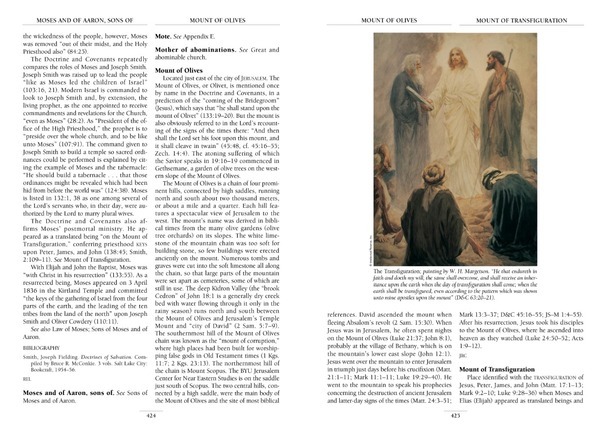 This is more than just a D&C companion though -- this is really a full history reference complete with entries that cover places, people, phrases, doctrine by topic, historical context and overview and a whole lot more! The first section is an alphabetical reference guide by topic while the second section provides an historical overview of the Doctrine and Covenants sections 1-138. Tie this up with a large appendix in the third section and comprehensive index at end and you have a reference guide that is easy to use. More than I could have ever imagined. This Book has blown me away. My first thought was how a book could possibly cost $60.00, and now that I have one I can't believe that it only cost's $60.00. When my book came in the mail I was so surprised by the size of it. It is easily 4-4.5 inches think. It is very heavy and it is printed and bound so beautifully. I was completely shocked and amazed at the contents. Not only is this book visually impressive, the contents are so valuable. Over 125 authors have contributed to the content covering more than 850 topics. The first 711 pages contain an alphabetically arranged Topical index covering people, places,phrases, words, doctrines, beautiful illustrations, pictures, charts, maps and more. Then there is a section covering the historical context and overview of Doctrine and Covenants 1-138. Every home should have a copy of this reference guide. It is well worth the money and so easy to use. I am so grateful for this new tool to help me understand the doctrine and history of the church more fully. I am so thankful for the timing of this book release also, it is really helping with my Sunday School study this year.